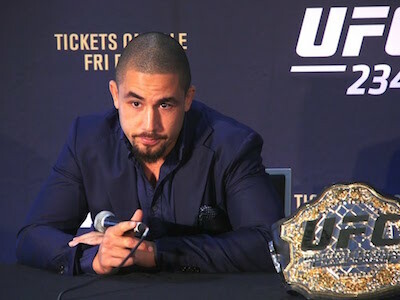 UFC middleweight champ Robert Whittaker gets ready to defend his belt against TUF champ powerhouse Kelvin Gastelum. And the legend Anderson Silva will try to prove he can still hang with the best up-and-comers of the current era when he faces Israel Adesanya. It all goes down Saturday at UFC 234 in Melbourne. Check out the highlights from their pre-fight press conference which took place on Thursday.